Whether you’re checking your list twice or just infected with the holiday need to shop, don’t forget to include your pets! You don’t have to be extravagant to show your pet that your care. 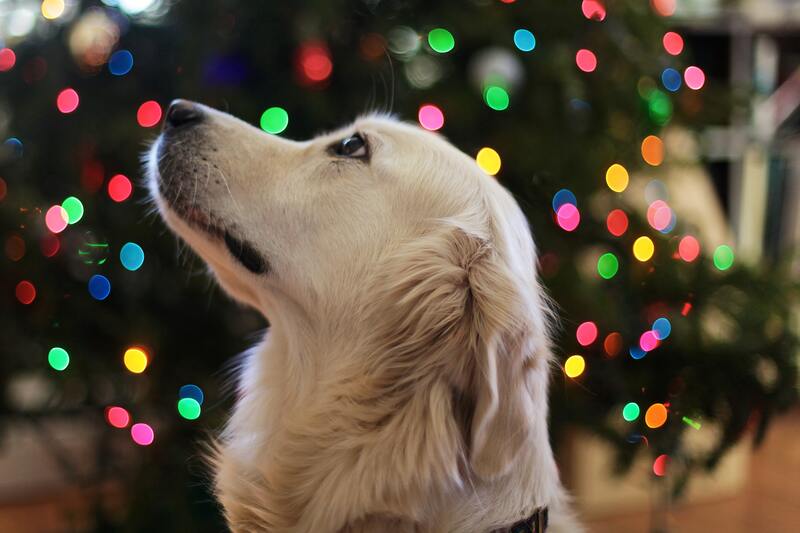 There are many creative ways to include your furry friends in your holiday celebrations. If all you can think of are doggy cakes shaped like bones or antler headbands your cats will hate, let us help to guide you. There are plenty of gifts to get for your pets that will make them jump with joy! A simple gift for a simple dog is a bone in a bow. To make this gift extra fun put it under the tree with all the torn wrapping paper from opened presents. Watch as your little beast hunts around for the bone you’ve hidden within. Just make sure they don’t knock the tree over! If your dog isn’t big on bones it can be any treat. If you’re not big on mess potential you get your pet a stocking! Love taking your furry friend for walks in the snow? Protect their paws from getting the snow trapped between the groves with dog booties! While you’re at it make sure your pet’s warm with a nice cozy sweater. It could be a new piece of rope. It could be a new ball. You could even just get a pillow to be torn apart. You know your furry family member’s favorite toys best. So go get them one of their favorites and make sure to spend some time playing with them. There’s nothing that will make your dog happier than spending a little time playing with you on a day you’re normally preoccupied with your human family members. 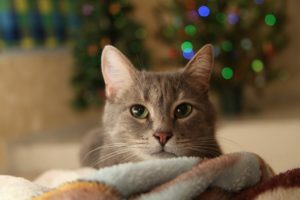 Get your cat their own tree, or bush if you will, for the holidays this season! It’s the kind of present you can guarantee your cat will go crazy for. Watch your cat’s delight when they see their very own catnip tree! For a little extra fun you could wrap the tree and watch your feline friend scratch through till they get to the real gift. A super special gift for your most special friend. The cat tree condo is sure to entertain your cat for days to come. Unless of course your cat prefers the box it comes in. In that case—get your cat a bunch of boxes for their holiday gifts! For a crazy cool new toy check out thisself-moving laser for cats! Has your cat figured out that you control that erratic red dot they love to chase? Well, see how long it takes them to figure out that this machine is controlling the red dot now! What’s great is the toy can keep going long after your arm would’ve tired out. Don’t skip your furry friends in cages! Just because their little doesn’t mean they don’t like to celebrate. 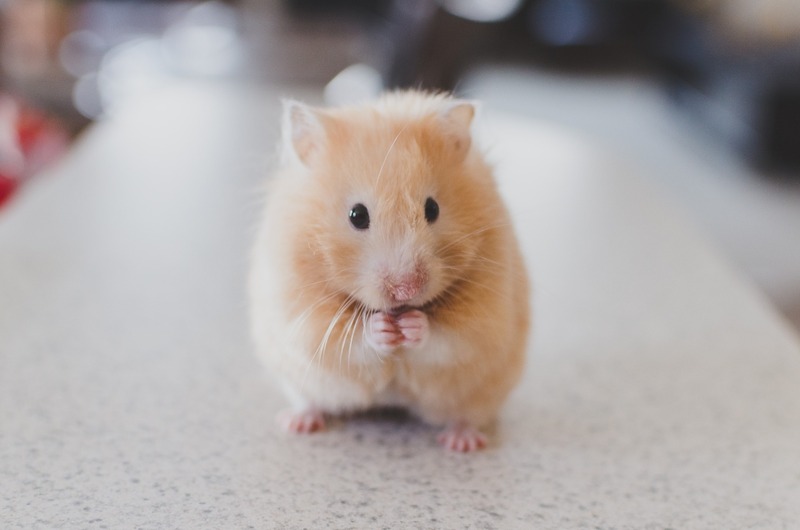 Be sure to get your rat, hamster, mink, mouse, or whatever sweet little creature you call family their favorite treat. Nothing says celebration like eating your favorite foods. Just because your pet won’t be at the dinner table with the family doesn’t mean they can’t feast. Let them pig out on their favorite food—just be sure not to let them eat too much (safety first)! There’s tunnel additions to existing systems. Hamster wheels to run around in. Balls to roam your house with. Plenty of ways to let your furry guys get out and play! What are you planning to get your pets this holiday?